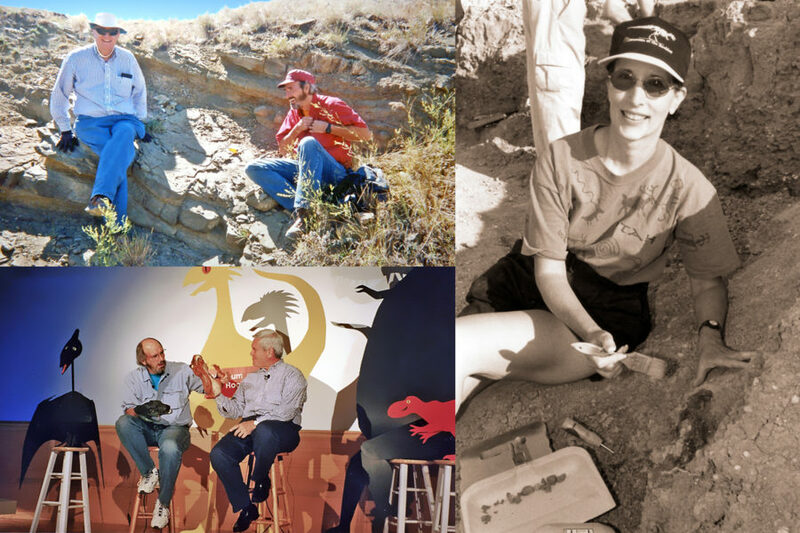 Owen and Susan in Montana to dig dinosaur bones with renowned paleontologist Jack Horner and Speaker Newt Gingrich, 1998. Clockwise from top-left: Owen and Jack Horner during a break. Susan finds a lateral femoral chondyle from a Maiasaura peeblesorum which is now in the collection of the Museum of the Rockies. 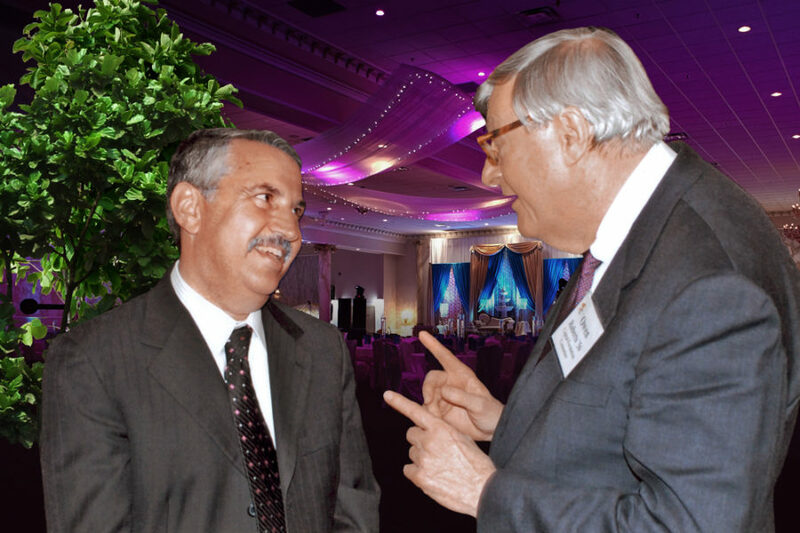 Jack Horner and Newt Gingrich engage in a playful debate in front of a live audience as a fundraiser for the Museum of the Rockies where Jack was the Curator of Paleontology. 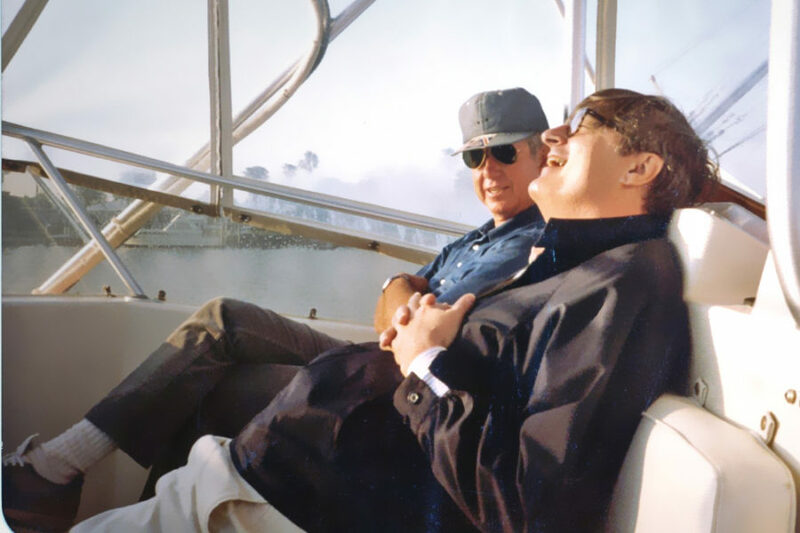 Owen and long-time client and dear friend spending quality time on a charter fishing boat. 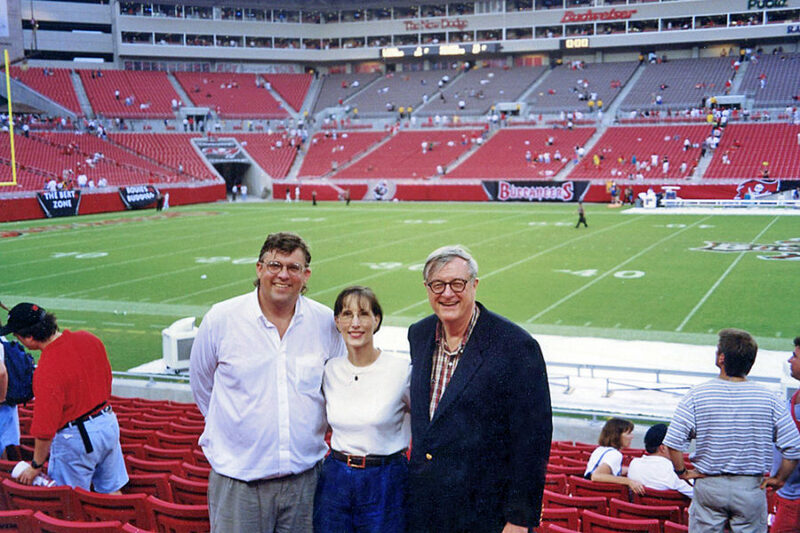 CFC® Corporate Attorney and friend George Rahdert with Susan and Owen at a Tampa Bay Buccaneers home game. CFC® has been supportive of the Tampa Bay NFL franchise since its inception in 1976. 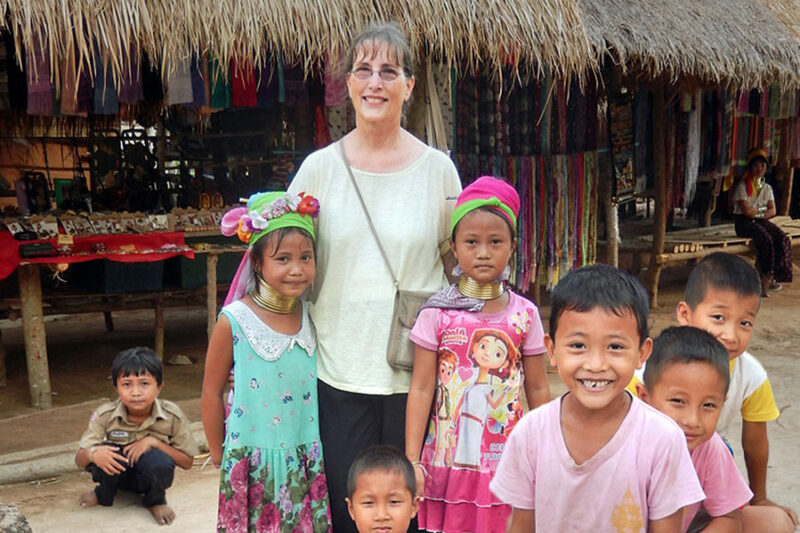 Susan visiting with some Kayan Lahwi children during her trip to Thailand and Nepal in 2014. 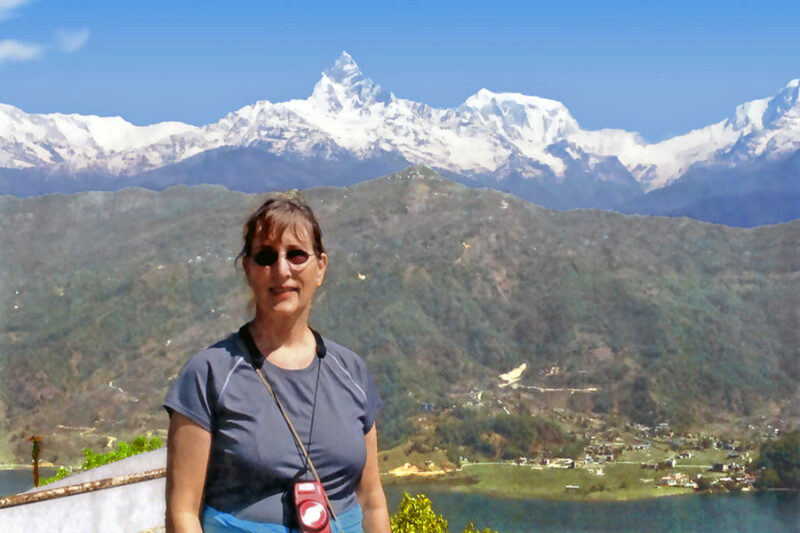 Susan at the World Peace Pagoda close to Pohkara, Nepal with the Himalayas behind her, 2014. 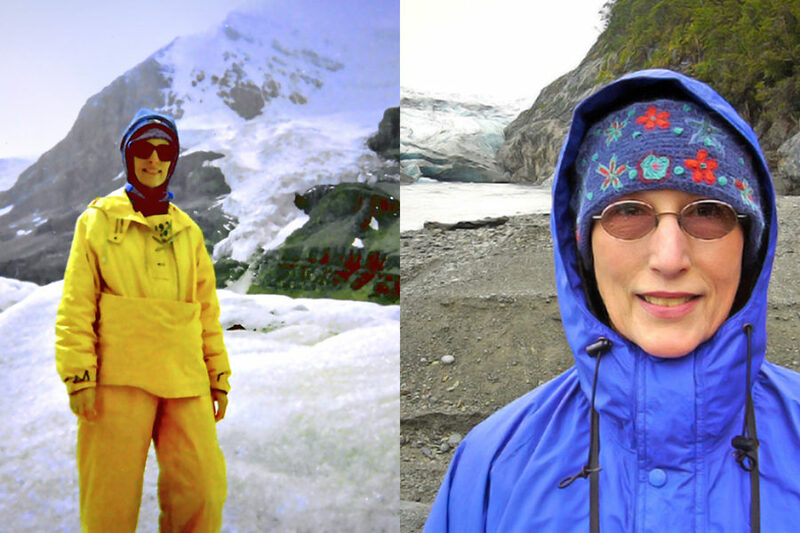 Susan hiking on the Athabasca Glacier (left) in British Columbia in 1993, and (right) at the Pio XI Glacier in Patagonia, 2006. 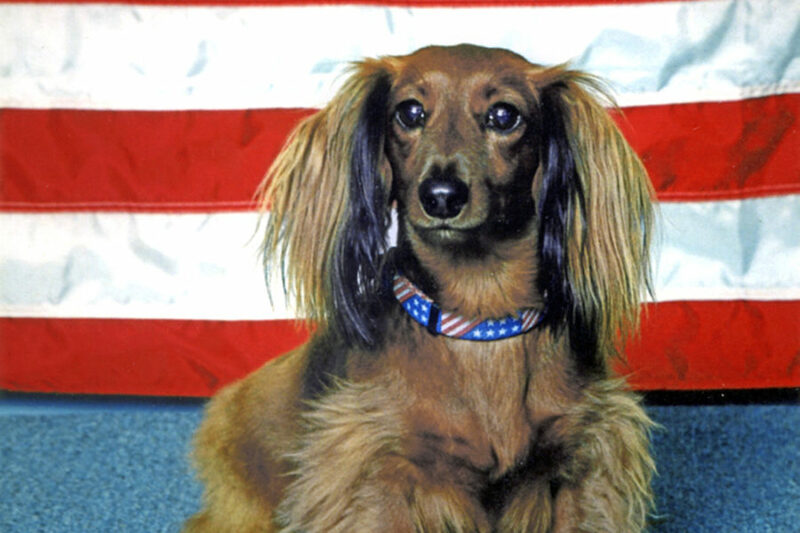 Owen and Susan’s “patriotic puppy,” Rocky. Rocky was the CFC® Director of Security and enjoyed by all the staff. 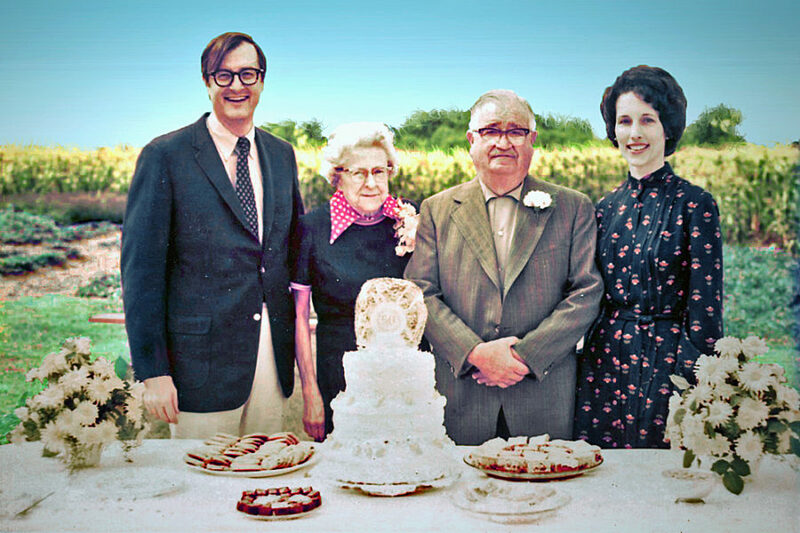 Owen and Susan visit his parents Melva and Glenn Roberts at the family farm in southwestern Wisconsin for their 50th wedding anniversary in 1974. 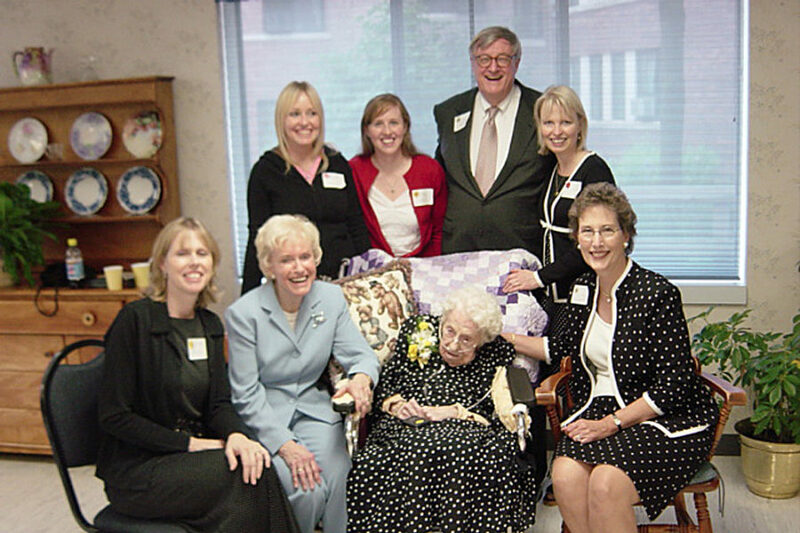 Owen and Susan with his sister Barbara and nieces celebrating Owen’s mother Melva on her 100th birthday in 2004. 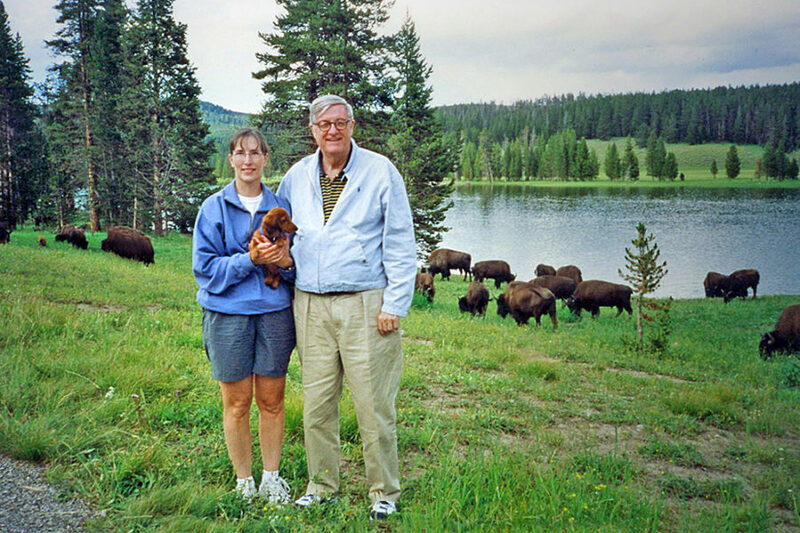 Owen, Susan and puppy Rocky with bison in Wyoming, 1999. 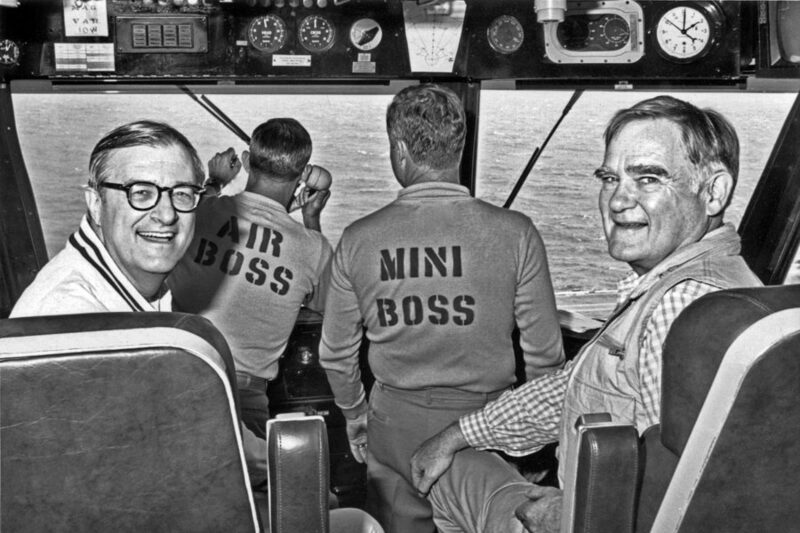 Owen on the bridge of the aircraft carrier USS America (CV-66) at the invitation of friend Bo Callaway, 1998. 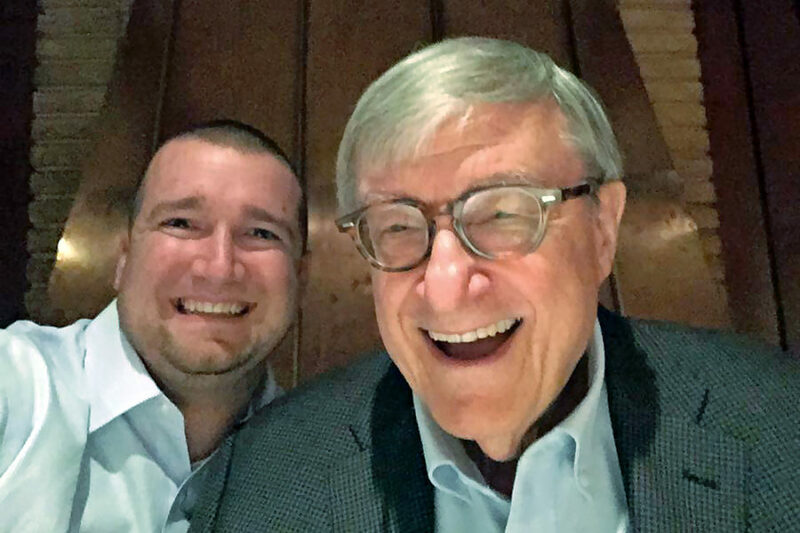 Owen with a 3rd generation client & good friend in a selfie moment at a local bistro on Clearwater Beach, 2015. New York Times OpEd columnist and author Tom Friedman with Owen in Princeton at a Center for Economic Policy Studies symposium, 2007. 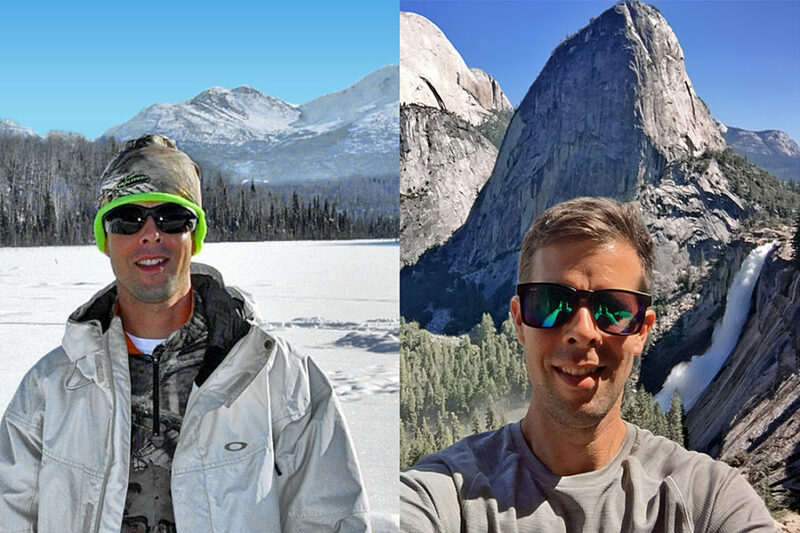 Dan Johnson in Alaska at Joint Base Elmendorf-Richardson (left, 2014) and hiking the Nevada Falls trail in Yosemite National Park (right, 2017). 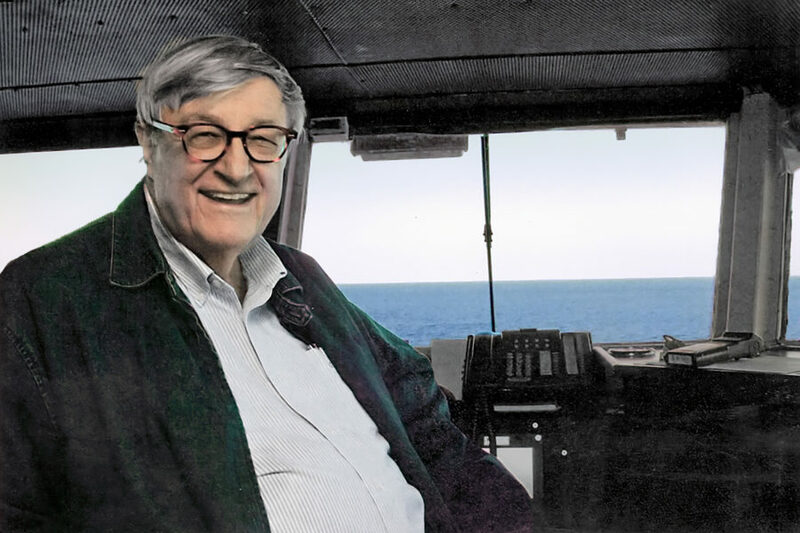 Owen on the bridge of the aircraft carrier USS Dwight D. Eisenhower (CVN 69) at the invitation of Major General Bob Allardice, 2009. 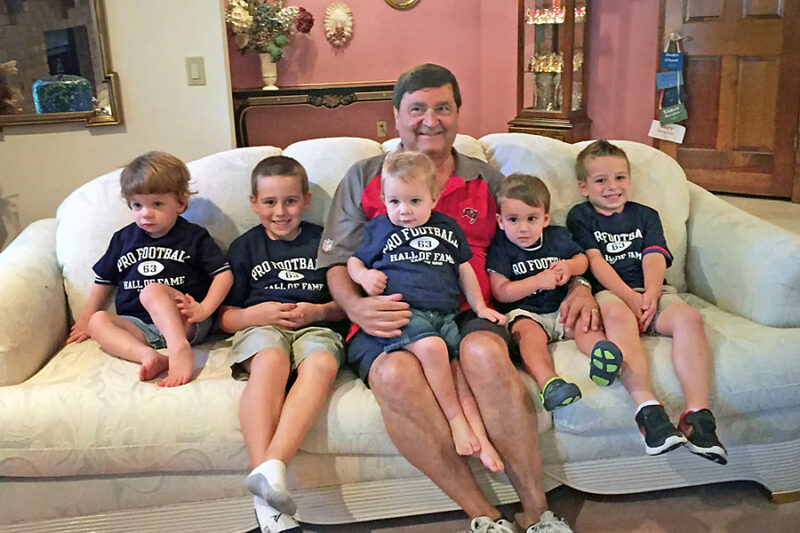 Greg Stevens celebrating his birthday with a visit from his five grandsons. 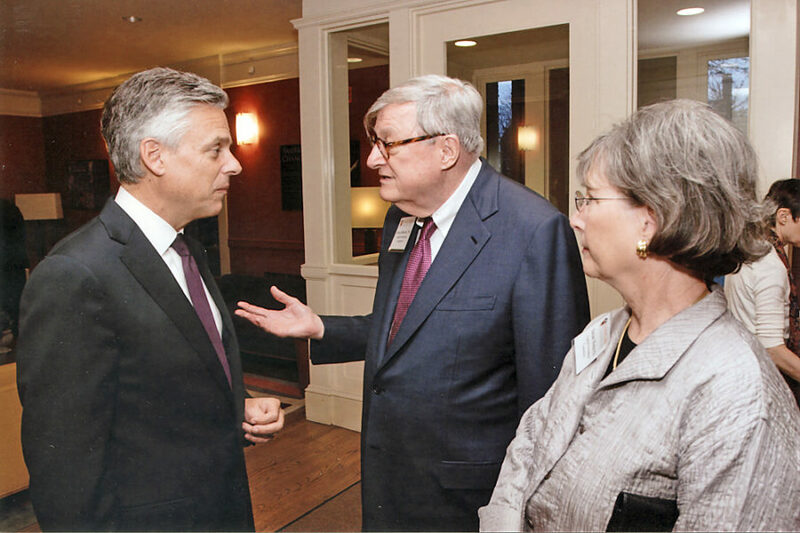 Owen chats with Jon Huntsman, Jr., currently Ambassador to Russia, former Governor of Utah and former Ambassador to China and Singapore, at a 2013 symposium at the Center for Economic Policy Studies at Princeton. 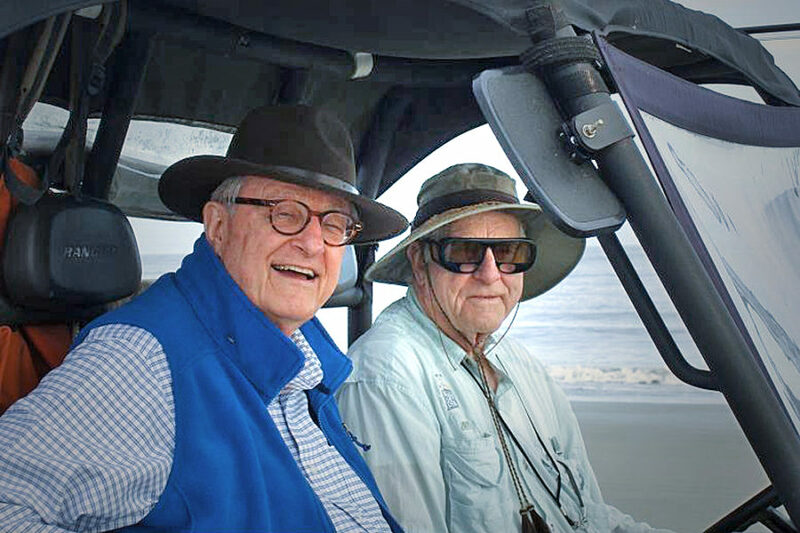 Owen enjoys a ride in friend’s “Mule” along the beach of Little St. Simons Island, GA, 2012. 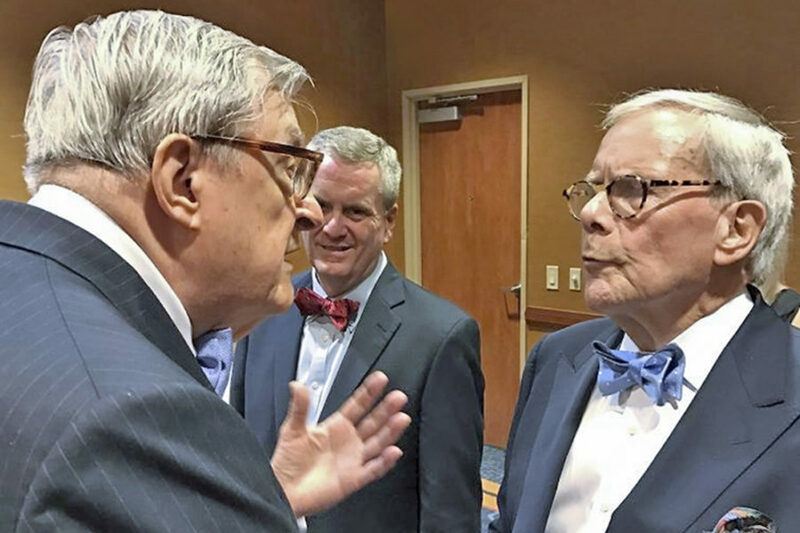 Owen chatting with television journalist and former NBC anchor Tom Brokaw at Poynter Institute’s 2016 Bowtie Ball. 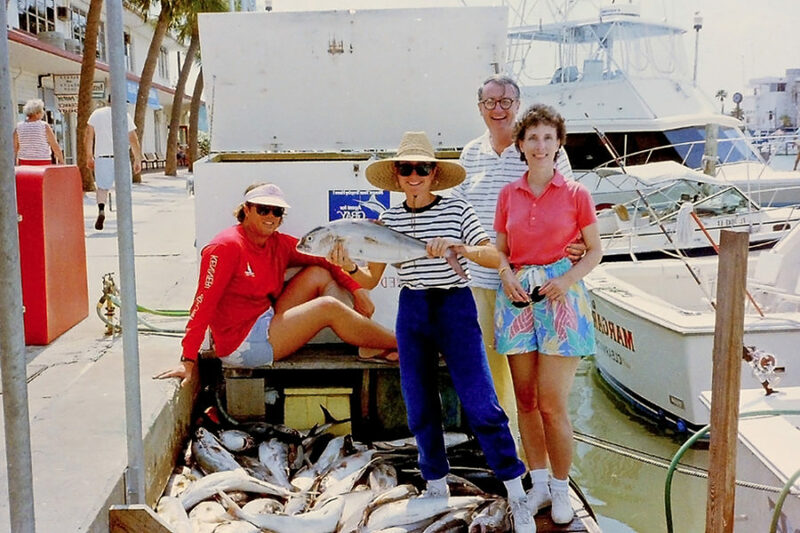 Owen was a Trustee of Poynter Institute for many years. 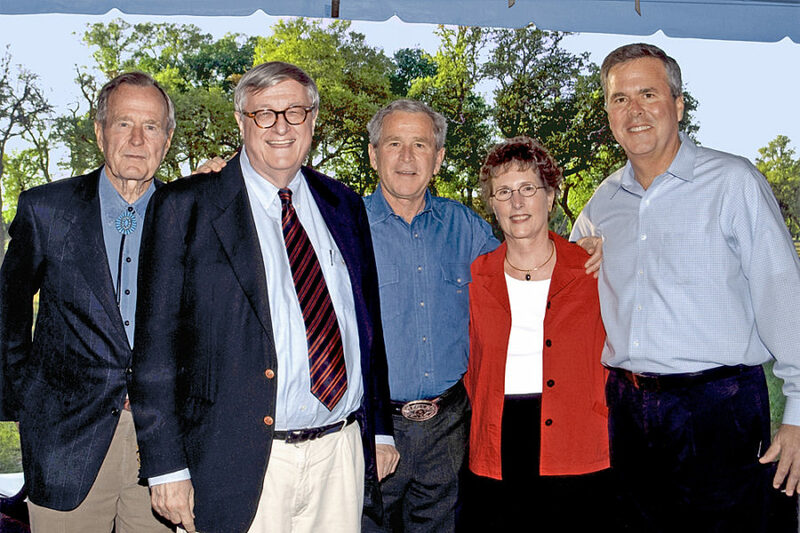 2008 Owen and Susan with former President George H. W. Bush, President George W. Bush and former Florida Governor Jeb Bush at the President’s Broken Spoke Ranch in Crawford, Texas. 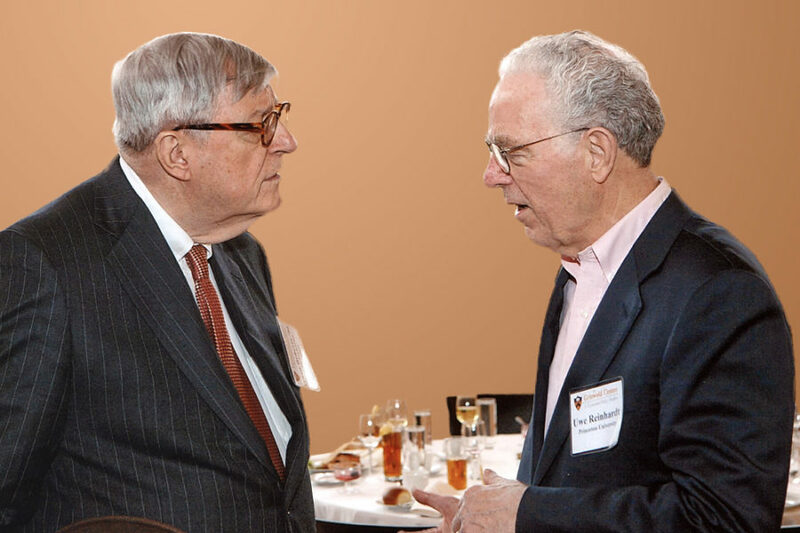 Owen discusses health care economics with Uwe Reinhardt, Professor of Political Economy at Princeton, during a 2012 Center for Economic Policy Studies symposium. 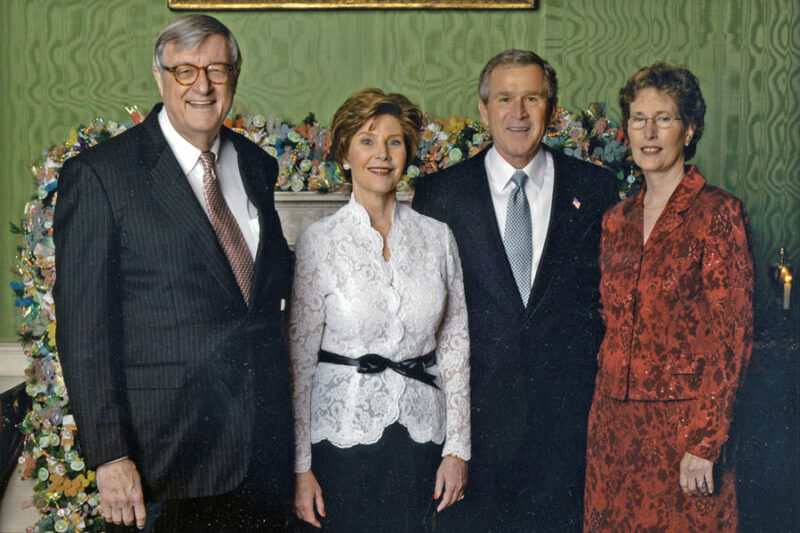 Owen is a long time member of the CEPS Advisory Board. 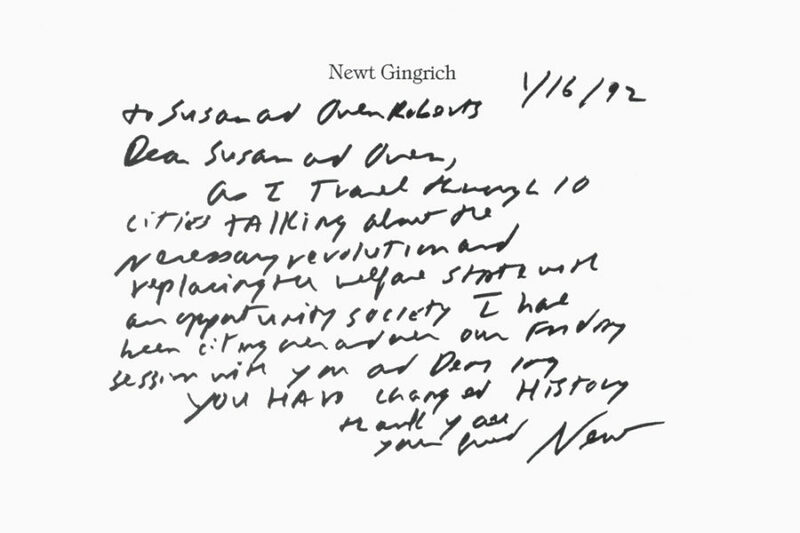 A note from friend Newt Gingrich: To Susan and Owen Roberts 1/16/92 Dear Susan and Owen, As I travel through 10 cities talking about our necessary revolution and replacing our welfare state with an opportunity society, I have been citing over and over our Friday session with you and Deming. You have changed History. Thank you. Your friend, Newt. 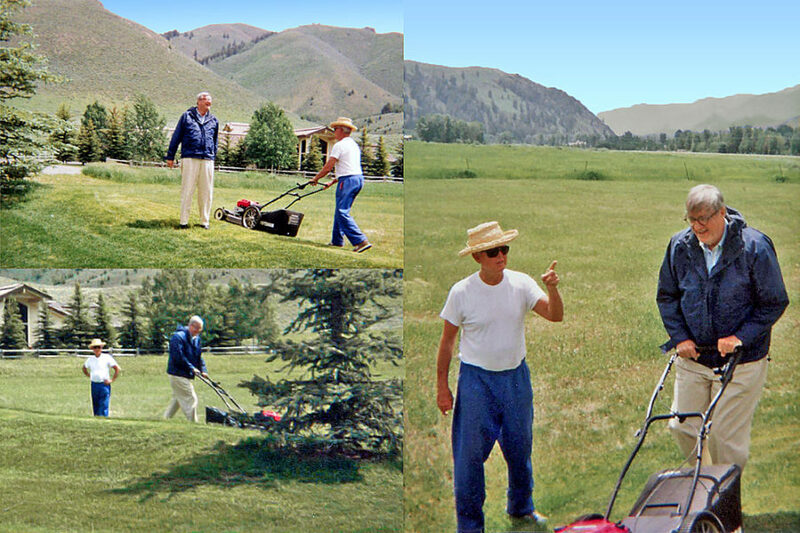 Good friend and client and Owen tending to chores on client’s Sun Valley home, 1995. 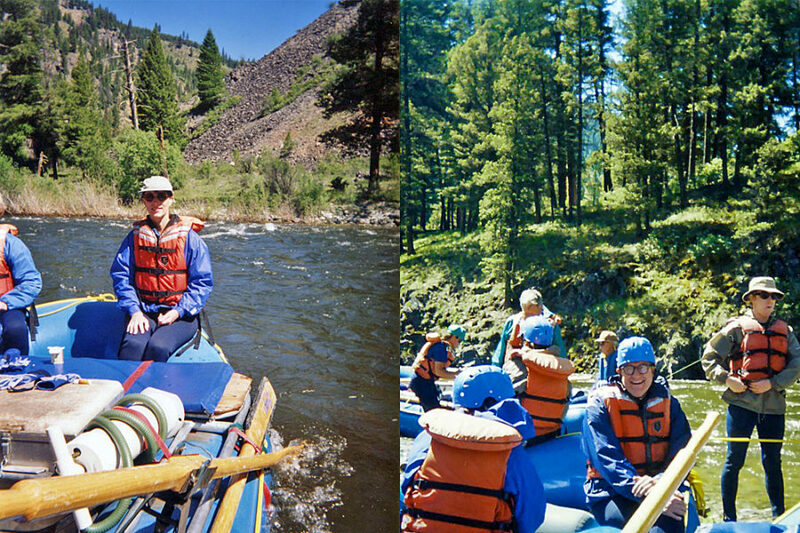 Susan (left) and Owen (right) whitewater rafting on the Middle Fork of the Salmon River with clients and dear friends, 1995. 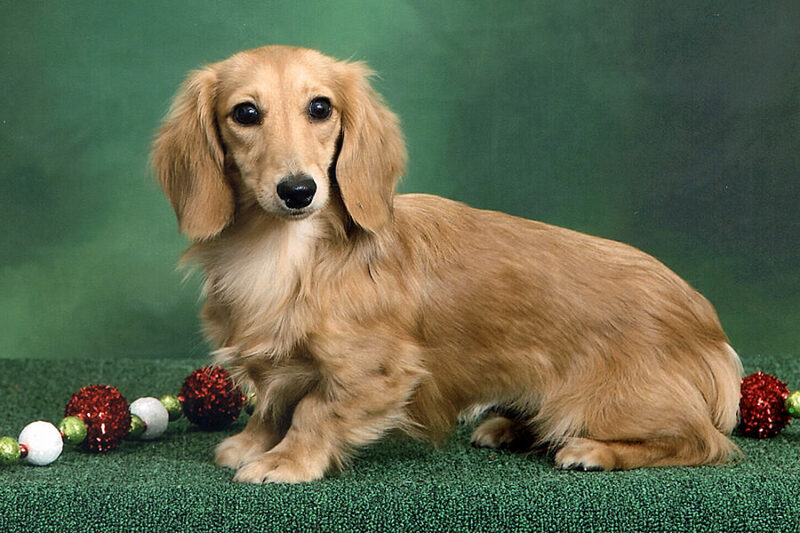 CFC® newest canine employee ‘Happy’, 2015. 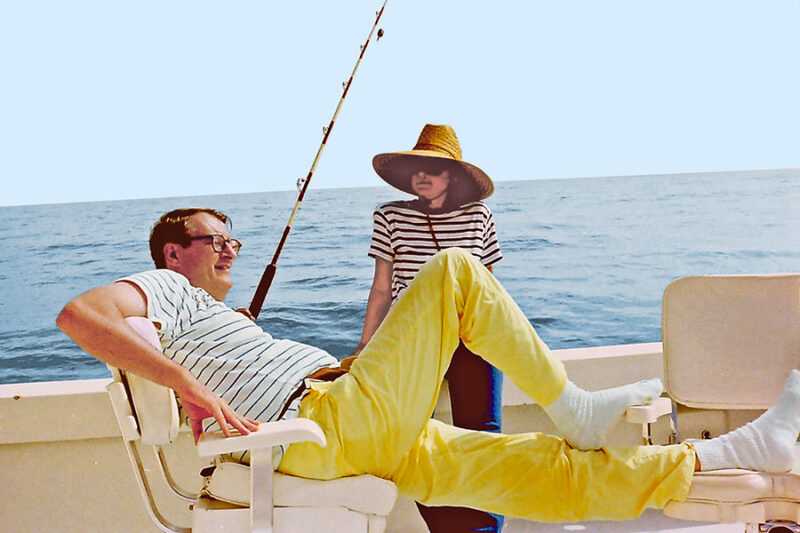 Owen takes a breather during a fishing trip in the Gulf of Mexico off Clearwater Beach. 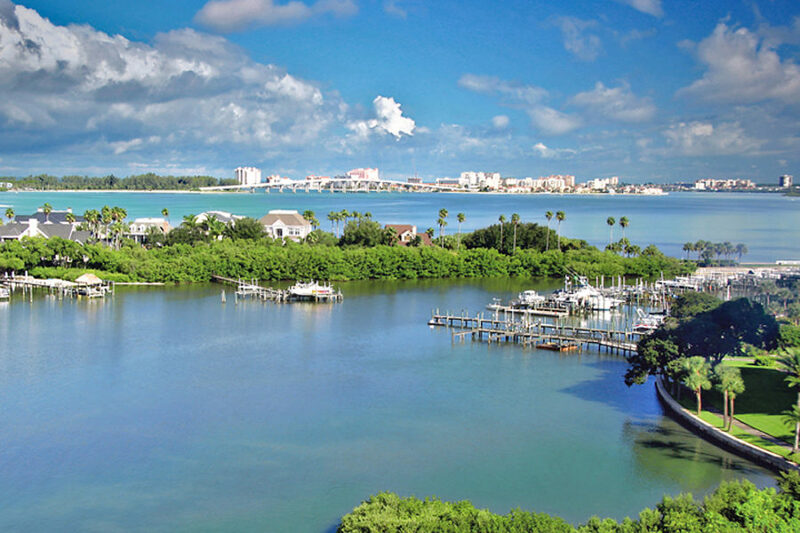 The view overlooking the Intracoastal Waterway from the CFC® penthouse condominium where guests stay when they visit.